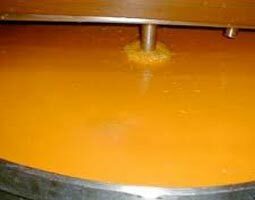 We are one of the prominent Manufacturers and Suppliers of Canned Mango Pulp, based in Kerala. Processed using organically cultivated and juicy mangoes, Canned Mango Pulp is in conformance with FSSAI parameters. Longer shelf life and detectable taste are the major attributes of our Canned Mango Pulp.